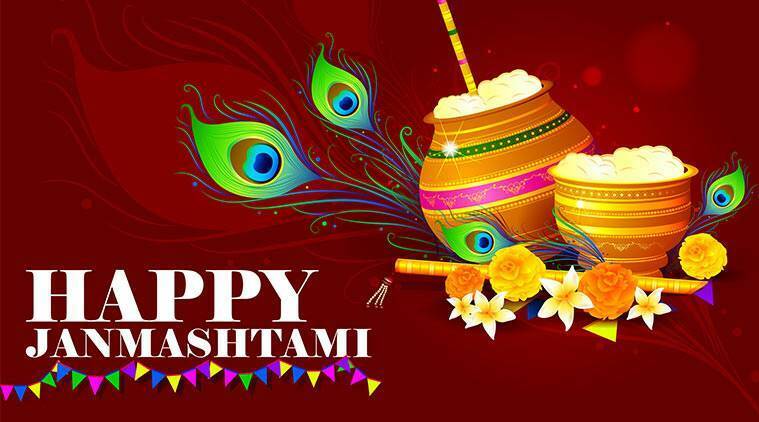 Happy Janmashtmii to all my friends…. We are celebrating this day in full of joy and prosperity…. we pray to GOD that GIVE us write path to LIVE. So guys today I’m going to write all dialogue in Roman Urdu. Sanchi: Dekho mummy papa ja rahe hain na age tum jao aur mere liye seat roko main abhi aati hun..
Isha: lekin di ap ko pata kaise chalega khum kahhn baithe hain?? Sanchi: tum jao I’ll search you… ager nahii mile then I’ll call you. Okay?? Isha: Okay… lekin jaldii aana okay?? She suddenly took two step back. She moved and went from there. Boy remained there by looking at her. Pragya: kabir bhaii kahan khogaye…. chalen?? Kabir realized his position… and suddenly that word comes out from his mouth… han?? Pragya: maine kaha bhai ander chalen… warna seat full hojayengii… jaga nahii milegii humen aur main khare hoke poora function nahii dekhna chahtii…. Dekho Mom dad bhi ander chale gaye..
Kabir: acha merii nautankii chalo. They went inside…. They sat on the seats… and function was going to start than kabir’s eyes went on girl she was sitting exactly in parallel seats of them… not front but side parallel. Kabir sat on the edge of row… they had some gape between other row and Saanchi sat on the edge of other row… they could easily see each other. Kabir was staring at her. While sanchi didn’t noticed him. He was consistently staring her. But once sanchi eyes went on him she felt awkwardness… she tried to ignore him but she felt very uncomfortable.. She again looks to kabir he gave her sweet smile. She makes weird face and moves face away..
She again looked at him she found he was still staring at her. sanchiL: (thinks) kiya Lafanga ladka hai?? Ghoore ja raha hai… iss kii sath bhi to hiss kii behn hai na… sharm nahii atii isse?? Kabir was seeing all this… he nods with smile.. They reached home… kabir was very upset… pragya asked some questions from him but he didn’t replied..
Kabir thought to send her friend request… he was about to press friends request button then suddenly he stopped..
Kabir: nahi nahi ager maine use friend request bhejii toh yeh kabhii bhii accept nahii karegii… I know bcos she not know me. Nahii main request nahii bhej sakta bagair request ke us ka timeline toh dekh sakta hoon ager us ne block kar diya toh?? Nahi nahii.. main yeh nahi hone desakta. Kabir still remember her… her everything her every moment was still freshen in his thoughts..
Kabir was straight lying on the bed… and was thinking about her..
Yeh kiya horha hai mujhe main?? 3 mahine hogaye hain lekin aj bhi uss ladkii sanchi kii yaden taza hai mere dill main…. Aise toh main pagal hojaunga… main use bhool kiun nahii pa raha hun… mujhe laga yeh mera sirf attraction hai… but nahii yeh toh din b din haavii hotii jarhii hai mere dil pe… kiya horaha hai mujhe?? Kahin mujhe us se pyar toh nahi hogya hai?? No aisa nahii hosakta… main who bhi pyar bilkul bhi nahii kabir .. no way.. He denied a lot his feelings towards her…. But it was not easy.. But he was consistently trying to not think about her…. Nahii humare samaj main pyar karna allow nahii hai… ager maine usey bata bhi diya that I loves her… toh who mera pyar kabhi bhi kabool nahii karegii… aur main apne pyar ke liye us kii izzat ke saath nahii khel sakta… mujhe use bhoolna hi hoga..
Before 3 moths that anklet he always keeps in his pocket but that day he keeps it in the drawer. Kabir: ab na hi yeh payal mere dil ke qareeb rahegii aur na hi mujhe us kii yaad ayegii. He closed the door. Kabir: what is this pragya?? Pragya: bhai this is girl’s photo with whom papa fixed your alliances..
Pragya: yes bhai.. That’s true. Kabir went to his papa… who confirm him that the fixed his engagement… and this is his final decision.. He needs to obey it. One day kabir massaged to Saanchi..
Kabir: listen don’t mind you can talk to me. Actually tumari ek cheez mere paas woh main lautana chahta hun.. That’s it. Kabir: (gets happy to get response from her)… yeah I have your anklet… yaad hai jab tum Janmashtmii ke function main paani peene water cooler gayi thii wahn gir gayii tumari payal.. Main tumen wahiin launtana chahta tha par tum chalii gayii thii..
Sanchi: wonders… so meri payal AP ke paas hai?? Kabir: haan aur maine boht sambhal ke rakhii hui hai… tum mujh se mil kar woh payal le ja saktii ho. Kabir: haan ager koi problem na ho toh hum mil sakte hain..
Kabir: venue tum decide kar lo kahn milna hai. Sanchi: umm okay… so hum xyz park mil saktey hain.. subah 6 baje. Saanchi reached park with isha and she found kabir was sat on the bench. Kabir: nahii main toh yahn subah 4 baje se baitha hua hoon. Sanchi: kiya?? She shocked subah 4 bje se to ap uthe kab?? Kabir: actually sari raat mujhe nend nahi aayi… aur ajkal aati bhi nahii hai. Kabir: khair chodiye yeh lain apnii payal… humesha isse apnii jeb main lekar ghumta tha. Finally aj apne sahii haqdaar ke paas ja rahii hai. He smiled back and went from there. Kabir was ready on the stage and girl was coming….. Guest took side from in front of him his eyes sees a beautiful face coming towards him… in grey suit. Saanchi reached to him.. Then pragya shows him the pic of girl that kept in envelope…. At night they met on the tarrace..
Kabir: JAB KISMAT MAIN HO LIKHA MILNA…. USSE KOI NAHII ROK SAKTA…. Sanchii: I LOVE YOU TOO KABIR. Both hugs each other passionately..
Crackers cracked in the sky. So guys I hope you all will like this OS. Ager pasnd aaya hai doston LIKE kardo… ager zyada axha toh COMMENT kar ke batao. Surprisingly I understood all the dialogues 😱😱😱. OS is lovely Anee 😍😍😍. Happy Janmashtami to you 🎉🎉🎉. A small problem though 🤔🤔🤔 you said it’s Roman Urdu. I thought it’s Hindi. What’s the difference between those two?